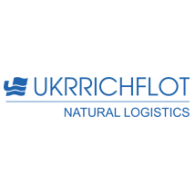 UKRRICHFLOT is an integrated logistic operator with assets including both a variety of different elements of transport infrastructure (ports, fleet of various types and navigation areas, floating loading and unloading devices (cranes)) and highly professional personnel. 1) River fleet performing carriage via the Dnipro river, Danube, with entry into coastal sea waters («Р», «О», «О-pr» classes). 2) Sea-river – Convention fleet performing carriage between river ports and ports of other countries in international trade transactions. 3) Tugs and auxiliary-service fleet which are engaged in additional (auxiliary) services (such as bunkering, collecting sludge/bilge, towing, etc. at the Company’s ports).